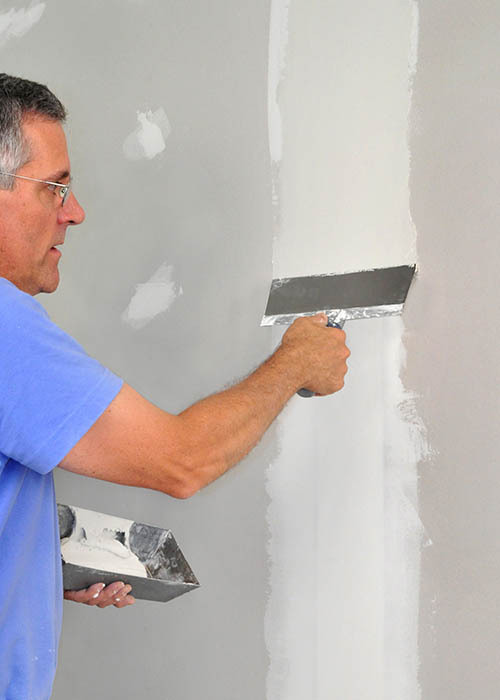 Having some upfront information can help us produce a more accurate quote for your drywall repair. You can always visit our Up Front Pricing chart page to calculate the cost for your repair. How large is the damaged area? Approximate measurements can help us get you a quote over the phone. Please take photos. Take a few photos using your smartphone or a digital camera and email them to office@hiwdrywall.com. Make sure to include your First and Last Name in the email so we can keep track of who is requesting the repair. Is the damage in your wall or ceiling? If it is in your ceiling, how tall is it? Normal height would be about 8 to 10 feet. What kind of texture is on the wall or ceiling where the damage is? You can visit our Texture Gallery page to see the different common types of textures so that we can match it. If it is not in that images, describe it as best you can. If your repair is in the ceiling, please make sure that any furniture or items underneath the damage area are moved out of the way. If you are unable to do so ahead of your scheduled appointment, our technicians can assist you. If your repair is in a wall, make sure any furniture or items are moved away from the damage. Be ready to clear a room. Larger scale ceiling repairs or popcorn scrapes require the room to be mostly empty. Our technicians are able to maneuver around a few pieces of furniture, but they will be unable to complete the job if the room is cluttered. Put away any items that can get in the way of the repair process. If you have any rare, valuable, or fragile property/pieces of furniture in the area we are repairing, please move them out of the room as our technicians are not responsible for any broken or damaged items.